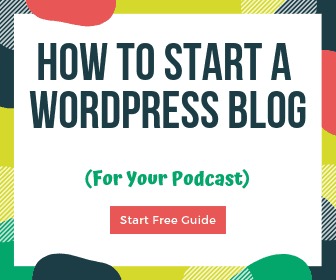 These podcasting WordPress plugins will help you get your podcast set up on your WordPress site. The Seriously Simple Podcasting (SSP for short) plugin makes it really easy to set up and manage your podcast from your WordPress blog dashboard. You can manage multiple shows, view stats, configure add-ons for featured guests, transcripts, and more. 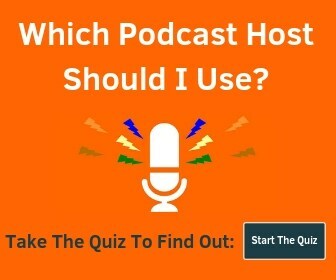 They are owned by Castos podcast hosting so the easiest way to use it is when you host with them, but you aren’t required to. The plugin itself is free – you just need to pay for podcast hosting. It has over 400,000 downloads and over 160 5-star ratings as of Feb 2019. PowerPress is a great way to get your RSS feed set up for your podcast if you want your feed created on your WordPress website. 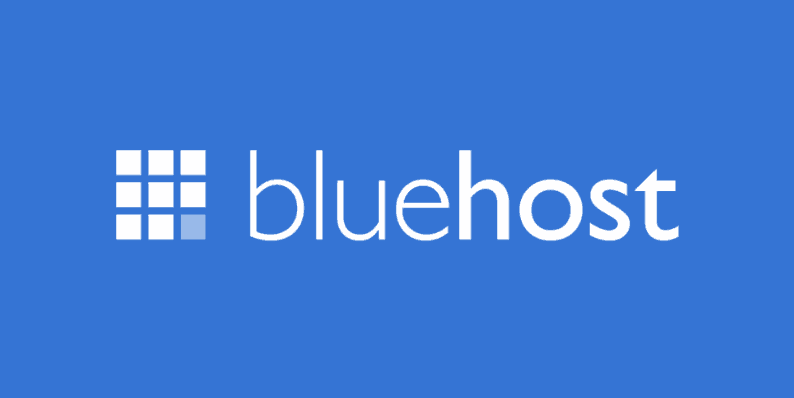 It’s created by Blubrry and if you use their hosting, you’ll be able to use their responsive player on your episode pages. It has over 1 million downloads and is a nice solution to manage everything from your WordPress dashboard so you don’t have to log into multiple platforms to create your podcast. Just know that you can also get a podcast feed from any of the podcast hosting companies. Want one of the best looking players out there? Check out Smart Podcast Player. It has a playlist player, single episode player, and a sticky player that will display on every page of your website. You can choose which ones you want to show and where to display them. SPP also has options to collect email addresses, have clickable timestamps, and more. Plus they have great support and documentation should need any help. Building an email and list and engaging with your podcast listeners is one of the best ways to grow your show. I’m a big fan of these plugins for podcasters and bloggers. I purchased or trialed at least 4 other email opt-in software and plugins and OptinMonster blew them all the way. It’s not the cheapest, but I guess you get what you pay for! You’ll need the Pro version to get Exit Intent and mobile-specific popups, but those are crucial features so just go for it. ConvertKit is an excellent email service provider that focuses on bloggers, and by extension, podcasters. They have a WordPress plugin that lets you customize the forms shown on your site. WPForms is a drag and drop form builder that you can use for contact forms, email capture, payment, and anything else you might need a form for. It’s by the same team as OptinMonster as well! OneSignal is a push notifications company that is 100% free. Sign up and grab their WordPress plugin to get everything all set up. I use SendGrid to send myself emails when people fill out the contact form. With some web hosts and contact forms, you can run into issues where messages are not delivered. SendGrid fixes that. You need to set up Google Analytics for your site. MonsterInsights makes it super easy to do. Even if you already know how to install your Analytics tracking code, MonsterInsights makes it really easy to enable advanced functionality like e-commerce tracking, AMP, click tracking, Google Optimize, and more. Pretty Links lets you create short links so you can easily mention an easy-to-remember URL on your podcast that redirects to the actual page you want to send them to. It could be an opt-in page, affiliate link, or simply a number to send them to your show notes page. I use this everywhere. Yoast is the SEO plugin for WordPress. Enough said I think. Ad Inserter is a really powerful plugin that lets you add (ad) code that can be manually or automatically inserted throughout your site. There are a ton of options that let you insert code depending on the device, in certain paragraphs, in widgets, and more. Really useful even if you don’t want to use it for ads. Social Warfare lets you add social sharing buttons to your WordPress site. Sure there are other plugins that can do this too, but Social Warfare has advanced Pinterest sharing functionality, keeps your website running really fast, and is quick to set up. I used to use other tools for this, but this is so much better. I used to use both of these plugins, but since I’ve switched to Kinsta hosting, they handle backups automatically and have a much more secure platform. Backing up your site is crucial. Many web hosts will back up your site, but it can require getting in touch with support or any number of other hoops in order to retrieve them. I recommend you play it safe and make your own backups as well. BackWPup is really easy to use and you can set a regular schedule so you don’t have to think about it. I send backups to Dropbox and my site’s server weekly. Keep hackers and spammers out with WordFence. It’s kind of scary to see how often people are trying to log into your site after you install it, but you’ll be glad you did! A fast web host specializing in WordPress (like Kinsta) is the most important factor, but these plugins will help reduce load times even more. ShortPixel will compress your images so they are much smaller in size. That makes them that much faster to download. Images are usually the largest part of your site so this will have a big impact on load times. It even reduces the size of PDFs. Try it out for free, get a subscription, or grab 30K images for $20 like I did. Caching reduces the load on your server by showing visitors cached files. It also makes everything load really fast because it doesn’t have to send requests to your database. Confused? Just get WP Super Cache and enjoy! Made by the people who make WordPress too. Disqus is one of, if not the most popular 3rd party comment plugin for WordPress. DCL replaces the official plugin and lets the comment section load once people scroll down, saving additional load time. It also has shortcode support so you can put comments anywhere you’d like. Divi Builder is a WordPress plugin that gives you a ton of functionality when it comes to editing your pages and posts. It’s part of the Elegant Themes package that includes WordPress themes and a few other great plugins as well. Check out the demo to see if it’s right for you. Beaver Builder is another great plugin and framework that lets you build your own site the way you want. Special offer for our readers (63% off) + a free domain name. Sign up today!